SilverStone has just released a desk version of its Air Penetrator fan. 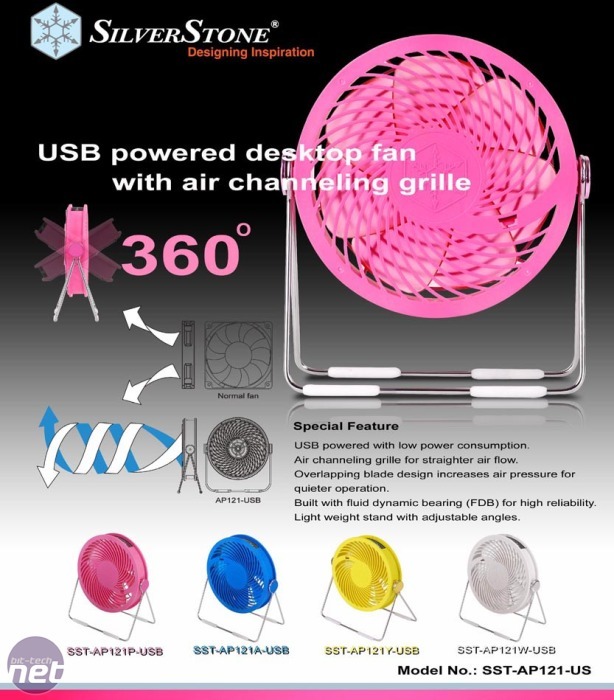 Essentially a USB-powered version of its AP121 case fan, the AP121-USB features the same air-channelling grille, which projects its airflow far more effectively than other fans. According to SilverStone, the fan's overlapping blade design will also increase air pressure, allowing for straighter airflow as well as quiet action. We haven't got round to fully testing the case version of the Air Penetrator fan yet. However, we have reviewed several cases equipped with them, such as SilverStone's TJ11, all of which have performed admirably. 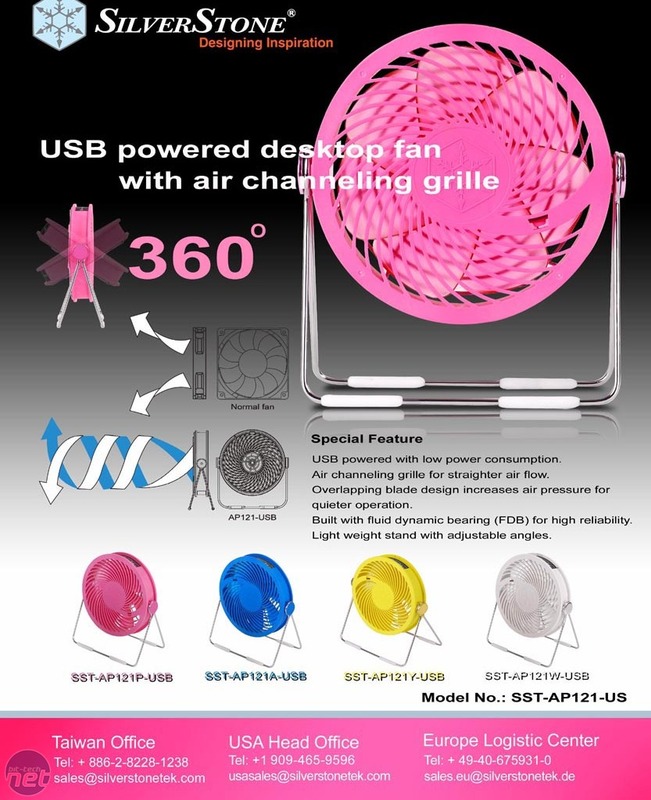 Of course, you're not expected to screw the AP121-USB fan to your desk or monitor. Instead, the AP121-USB is equipped with a lightweight adjustable stand. What do you make of SilverStone's latest product? Could a case fan such as the Air Penetrator make a decent desk fan too? Let us know in the forums. Six 36W channels, brushed aluminium and shifting LEDs - what more could you want from a fan controller?